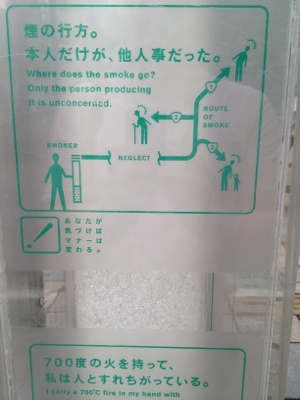 Japan is one of the least restrictive countries when it comes to smoking. 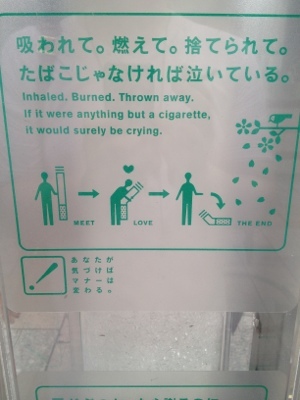 Over 30 million Japanese people smoke regularly. 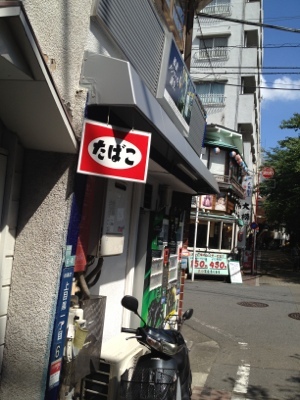 Until 1985 Japanese Tobacco (the worlds third biggest tobacco company) was a government owned monopoly and it a still owns a 50.2% majority of shares. As the government has such a large interest in the tobacco market, laws against smoking are very relaxed. 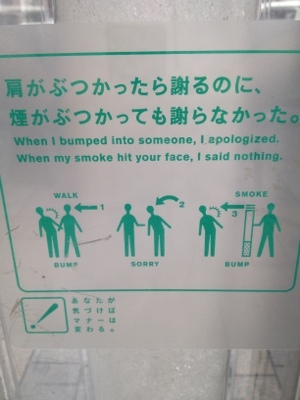 There are however large campaigns to promote smoking etiquette and manners. 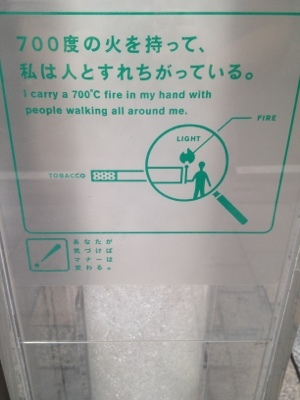 They are shown at smoking stations around the country. 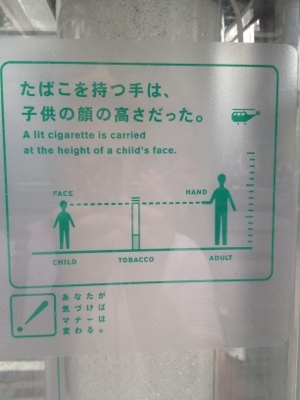 I have alway found it strange however that the word tobacco is spelt with the hiragana alphabet.